3. Cut a design into the triangle; keep it pretty simple and do not cut all the way through the triangle. 4. Repeat steps 1-3 four more times, for a total of 5 flakes. I kept the design the same, but you can experiment; that is what makes this fun. 5. Turn the flake so that it is diamond shape and pull the 2 side corners together (to form a tube). Tape the corners together and repeat for all of the snowflakes. 6. Lay all of the tubes together with their corners touching in the center. Tape them together. 7. Staple the edges of each adjacent tub as far up as possible to give the snowflake stability. 1. Fold a square piece of paper horizontally. 3. Open the paper back up and turn it so that it is diamond-shaped and the connected sections are running up and down. 4. Pull the side corners of the smallest, inside triangle together and tape together to form a tube. 5. 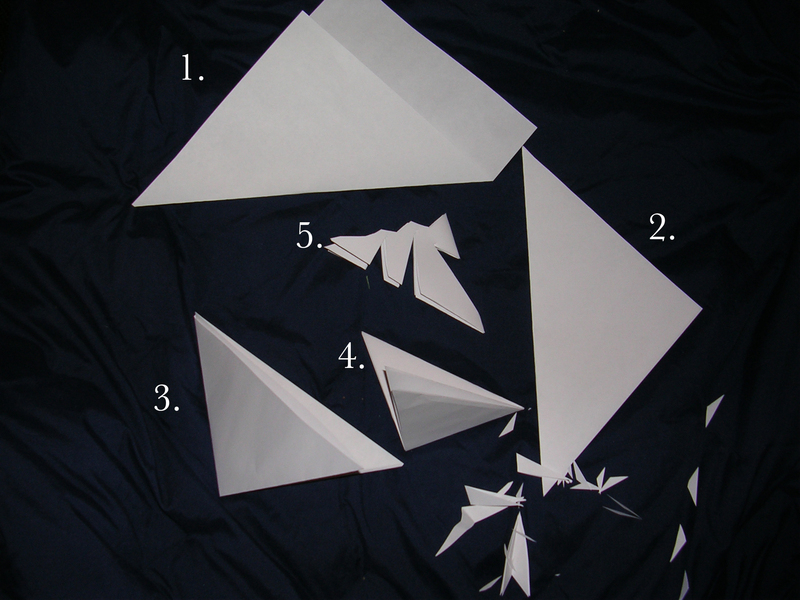 Flip the snowflake over pull the corners of the next biggest triangle together and tape them to form another tube. 6. Repeat again, flipping the snowflake over. 7. Repeat steps 1-6 five more times, for a total of 6 spokes. Hold the points of 3 of the spokes together and staple, then do the same for the other 3. 8. Now staple the 2 halves together. Also staple each of the adjoining spokes (as far up as they will touch) to stabilize the snowflake. 2. 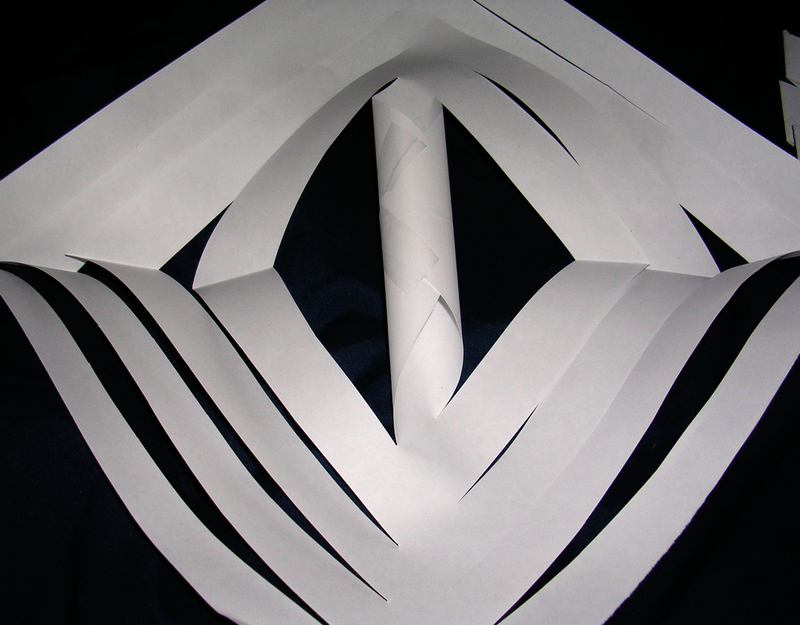 Turn the snowflake so that it is diamond shape and fold it in half down the middle. Match 2 of the halves up and tape at each edge.